I know a lot of smokers, even grew up with one. Nowadays, everyone is trying to live a healthier lifestyle and trying to quit. Ono e-Cigarettes are a great option for that transition. It tastes just like a traditional cigarette without the harmful effects or second hand smoke, fire, ashes, offensive odors, and tar. They offer regular tobacco and menthol flavors. Sure, there are so many other companies offering electronic cigarettes too. 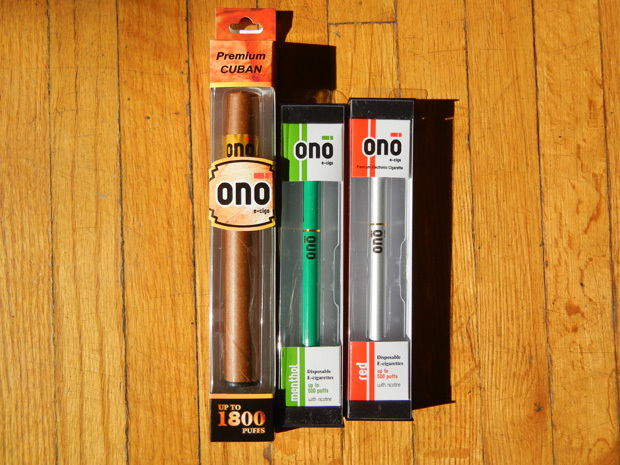 However, Ono also offers electric cigars! It was a new concept, launched about 6 months ago and I was surprised to see one close up during the Nolcha Fashion Week media lunch. Like the cigarettes, you don't get the harmful effects or the smell. In these products, there is mostly water, vegetable oil, flavoring, and just a smidge of nicotine (for those smokers who still crave it). It's a great baby step for a healthier lifestyle. 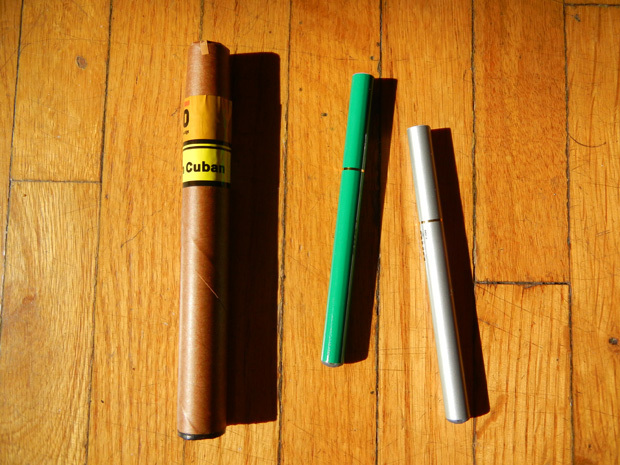 The samples in these photos are disposable, the cigarettes lasting for 500 puffs (about 2 days for a full-time smoker), and the cigar is up to 1800 puffs. Ono e-Cigs offers rechargable packs as well. You don't have to worry about putting it out and even save it for later! *Products were sent for review. Received feedback from smokers. Opinions are not affiliated. I don't smoke (I am very strongly against it) so this isn't relevant for me, but if it can help smokers to quit, then I am all for it! I've never seen one close up. I'm not a smoker, but if it helps one quit go for it. This is wonderful, thank you Audrey, will definitely consider ONO Electronic Cigarettes, I have been smoking for the past 6 years, its time to quit! i hate smoking! i don't smoke and hope to help all that do! I hate smoking too mainly because I lost someone to emphysema but am all for remedies to making it that much easier to quit. I've heard a lot about these cigarettes - they're becoming very popular here in France. I'm not a smoker myself, but I can see how these would make the transition to quitting much easier. i hate smoking with a passion, and like mimi, i want my mom to try these. I've never heard of this before and since I am also strongly against smoking, it seems good if it will help people stop. I often think there should be some different concepts around to stop the effects of smoking. Thank you for reviewing our product Audrey. It was such a great pleasure to meet you. I just want to remind everyone that our product is available at ONOECIGS.COM and we are offering a 10% discount on all our products from our website. Just type in LOVEONO on the coupon code portion of the checkout menu. Don't forget to follow us on Facebook(ONO Premium eCigs), Google+(ONO eCigs), Instagram(@onoecigs), YouTube(ONO eCigs), Tweeter(@ONO_Ecigs). We have posted many pictures from Nolcha Fashion Week as well, check us out. Thank you.